The Phillies have secured a meeting with Bryce Harper. The longer this drags out, the less, it seems, the Phillies can be confident they'll land Bryce Harper. Last week, the MVP outfielder met with the San Francisco Giants in a meeting that reportedly went twice as long as expected. In the days since, with little news or information to go on, many in the Bay Area are getting more and more optimistic as spring training is just about to begin for all 30 MLB squads. 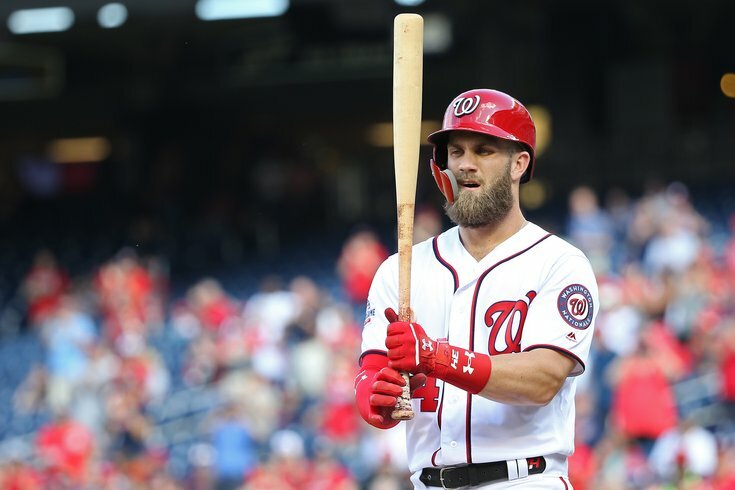 As players have talked over the past 24 hours, there has been an increased sense among some in the clubhouse that Harper prefers the Giants, a source told NBC Sports Bay Area. From a management perspective, it certainly was not lost on the team’s decision-makers that Buster Posey publicly lobbied for a Harper deal when he met with reporters Friday. That admiration is said to be mutual. Of course, the Phillies have their own reasons to be optimistic after trading for the best catcher in baseball in J.T. Realmuto last week — a player Harper is also said to have a lot of admiration for, and perhaps a desire to play with. The truth is, there doesn't seem to be anyone following along this offseason who doesn't believe the free agency system is broken. Any decision at this point would probably be better than a perpetual lack of decision.